education includes Ge’ez literature, chant, choreography and translation. Besides, Taitu was a great benefactor of the Ethiopian Orthodox Church. monasteries. She also supported the Ethiopian Church in Jerusalem, Israel. fortified positions at Endeyesus Hill on the eastern part of Mekelle City. close to where they have a well- fortified military base. southern part of the country against his old or new rivals. opportunity to diversify the power base through marriage and other means. soon after the battle, the opportunity to further pursue the full meaning of Adwa was not seized. nation building and modernization at the beginning of the 20th century. Taitu has registered many firsts. 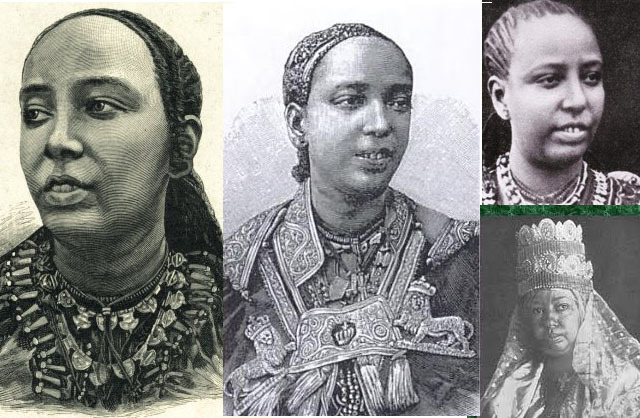 She founded the capital city Addis Ababa. eyewitness accounts to write his readable narrative. monastery. She also composed poetic verses both in Ge’ez and Amharic. and designed decorative curtains for churches and monasteries. later moved to nearby Addis Ababa at Entoto. has pioneered and encouraged both local and international tourism. able to obtain loans and continue trading. and India thereby paving the way for possible Ethiopian industrial age. Jerusalem to be used by priests and pilgrims from Ethiopia. Department of History and Cultural Studies at Mekelle University.